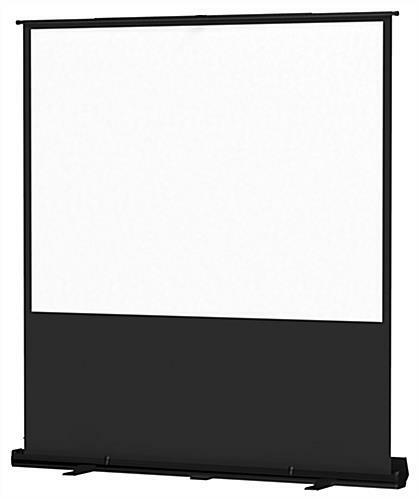 This portable projection screen features a slim retractable cassette with black finish. 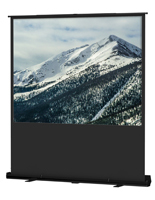 The viewing screen pulls out just like a window shade and clips onto a scissor brace located behind. 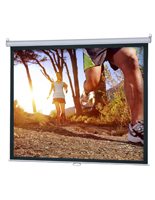 The portable projection screen's viewable area is 48" wide x 36" tall with the lower section covered in black fabric. When not in use, the cassette protects your investment from damage to the matte white surface. 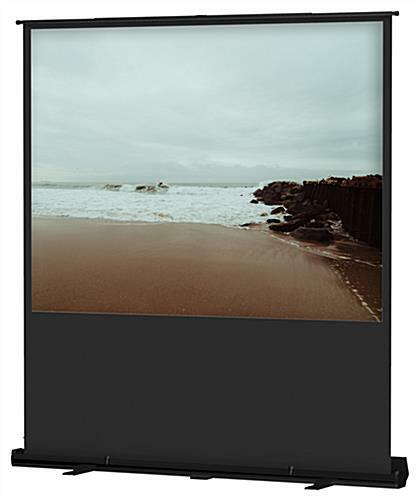 This portable projection screen weighs only 17 lbs. and sets up in seconds. 56.0" x 4.5" x 4.5"